Breakfast is the usual porridge, eggs, fruit, sausage and toast combo. We never eat the sausages but they keep on appearing. Maybe they are the same ones every day, I am never brave enough to try them. Oh and breakfast is usually accompanied by a ‘Diamox tingle’ – one of the two main side effects of Diamox (a raging urge to pee the other one) is tingling fingers and toes, although this only lasts usually about 15 minutes or so. 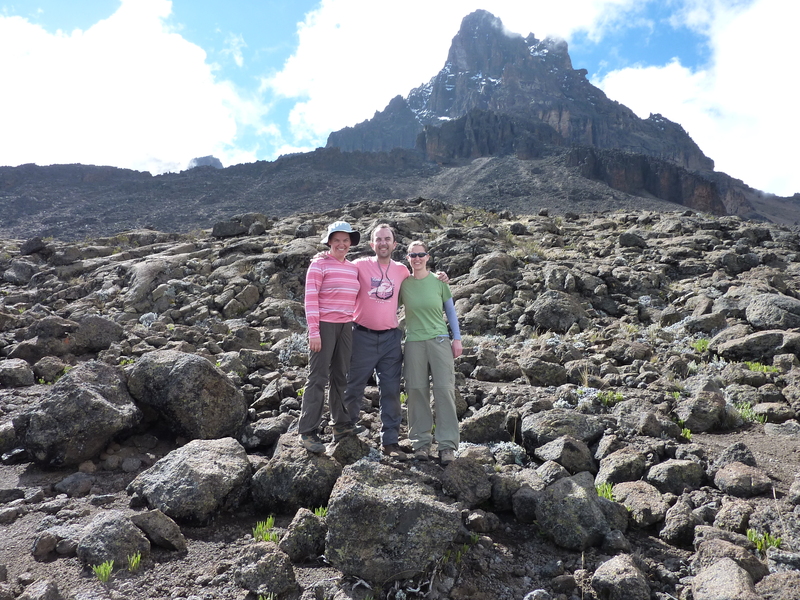 So today was acclimatisation day, where we follow the ‘climb high – sleep low’ policy. This means that you sleep lower than you have climbed to give your body a relatively oxygen rich experience. 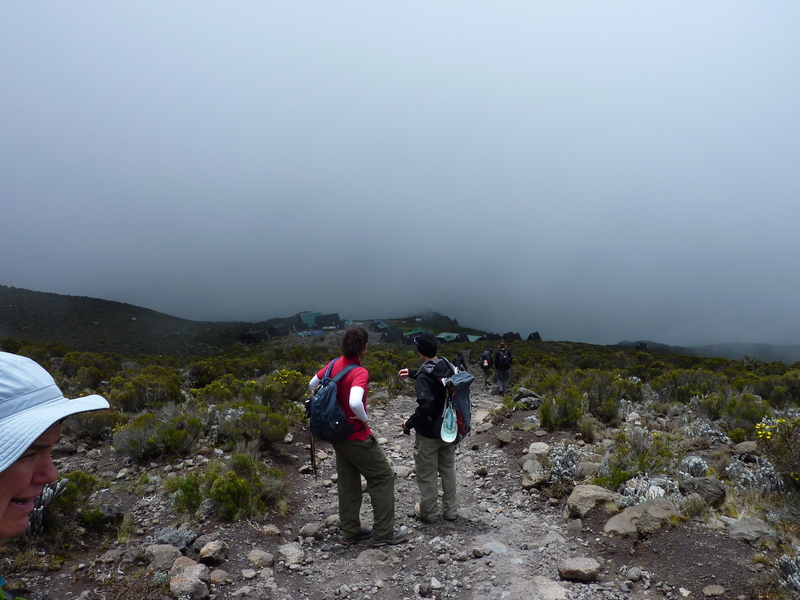 We were therefore to descend almost 1,000m. Part of me thought this a waste to lose all of that height we so painstakingly gained, by I suppose you put your trust, your safety and your health with these people, so who am I to argue? 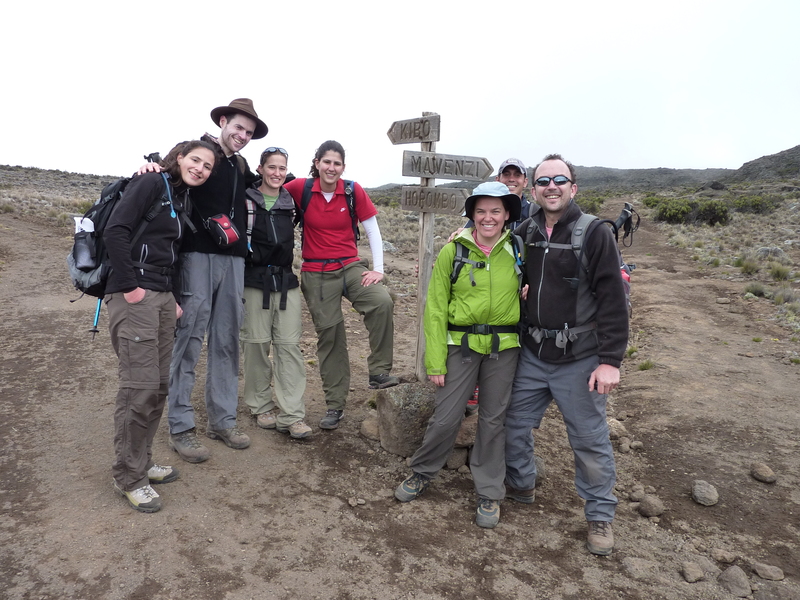 We set out at about 8.30am and climbed to traverse the saddle in the shade of Mawenzi Peak, before beginning our descent for the day. 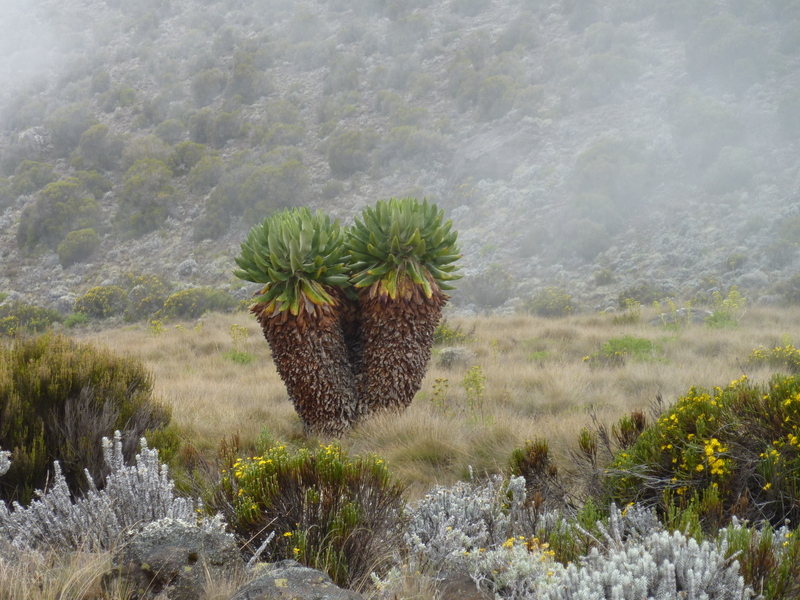 The views were amazing of Mawenzi, but Kibo was to elude us for the whole day today, shrouded permanently in cloud. En route, Caroline told us the tale of ‘Feeding Pipe’ a friend of hers, and so much hilarity was had along the way with reference to hoses etc. I shall leave the details of the story on the mountain, as it were, ahem. We had lunch at the camp at around 2 by which time it had started raining fairly heavily. The porters really earn their monies by digging channels all around the tents to stop the rain from being too intrusive. 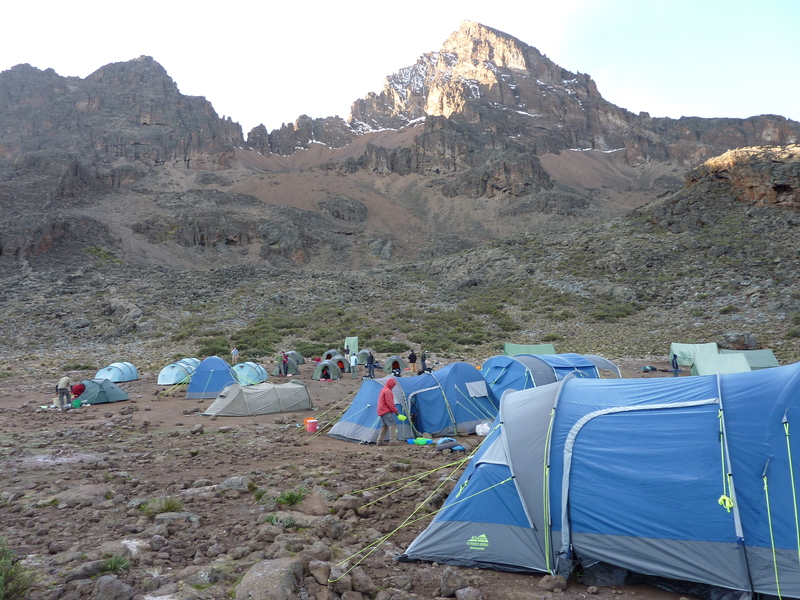 Horombo Camp is unlike all of the others we have seen. 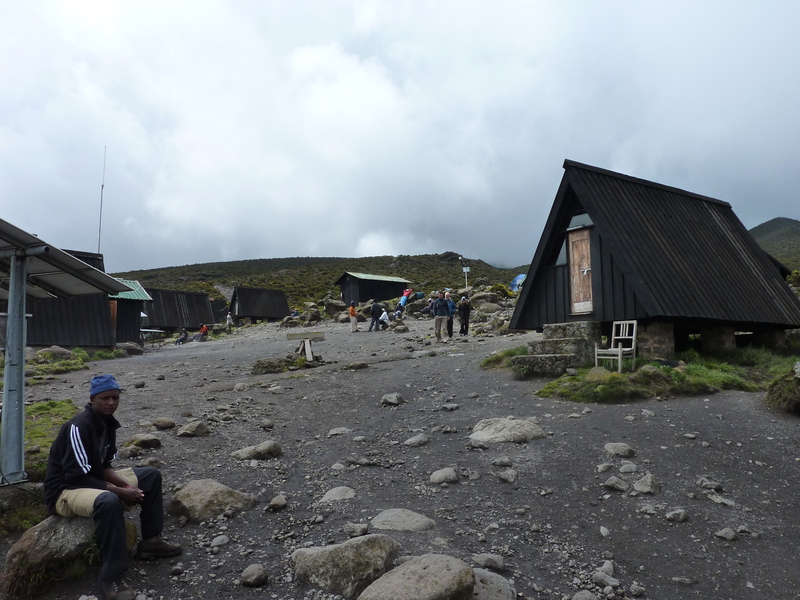 There are (albeit fairly primitive) huts here as it is part of the Marangu route up the mountain. There are also flushing toilets here, an absolute luxury from the stinking ‘drop off’ huts that we have experienced so far – think ‘Slumdog Millionaire’ toilets and you are there. 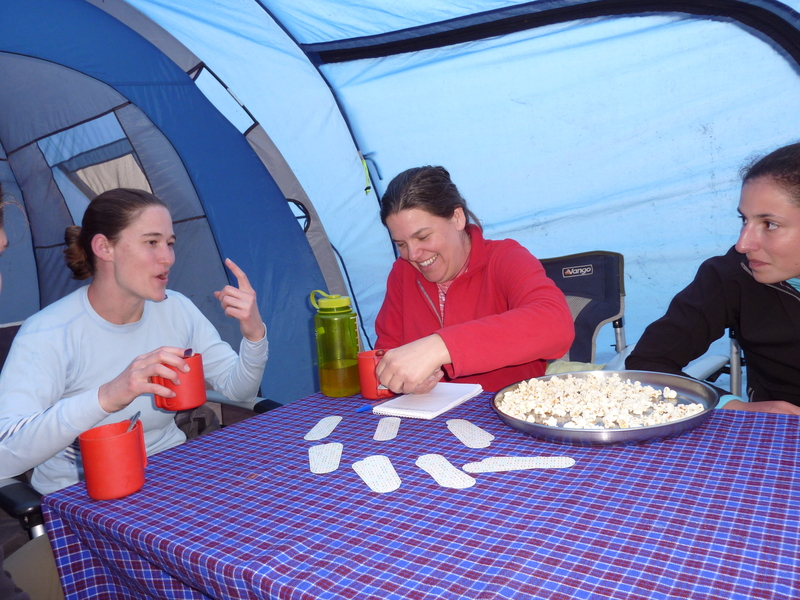 The afternoon is spent playing cards, – more ‘Oh hell’ and then after dinner we play Mafia, taught to us by Twigga. It is much fun. Just gimme one more piece of popcorn will ya? We retire at about 8.30 and I lie awake until probably 11 or so, and a huge electrical storm lights the sky. 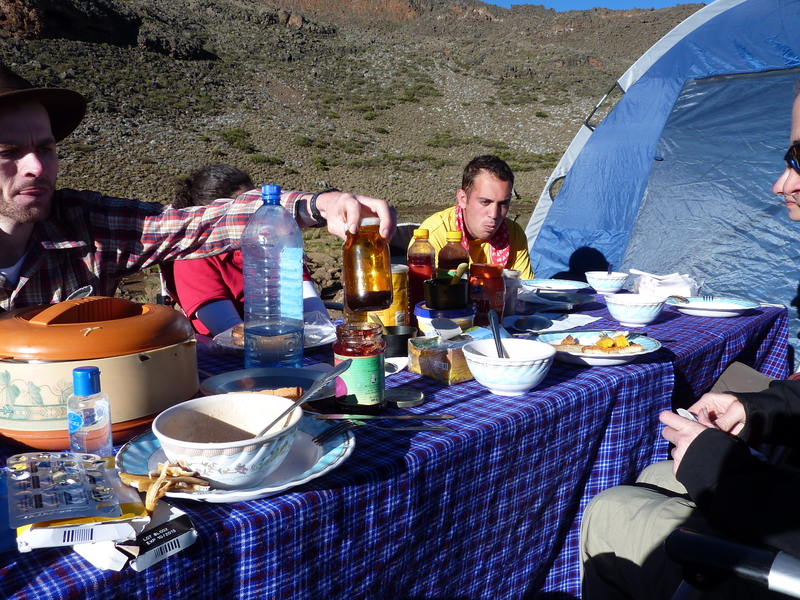 We will be served our breakfast tea tomorrow at 6am, before we ascend 1,200m to Barafu Huts, the last point before the summit assault towards midnight, a further 1,200m. This is the most fitful night’s sleep yet. Tomorrow we, me especially, would find out what we were made of. It would be the culmination of everything we had done, all rolled up into one brutal 36 or so hour period. This is it – the day of days. 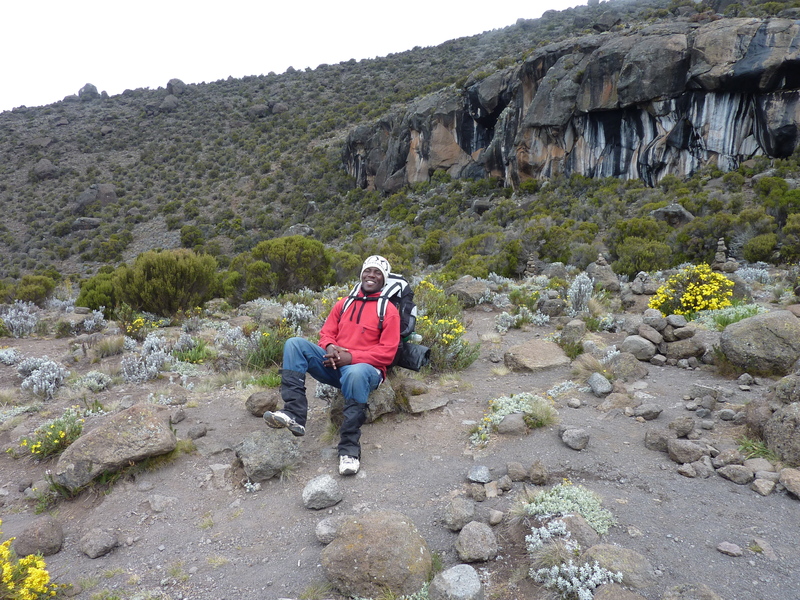 This entry was posted in Kilimanjaro and tagged acclimatisation, bed tea, diamox tingle, horombo huts, mawenzi peak, mawenzi tarn, senecio, zebra rocks by aquavista. Bookmark the permalink.